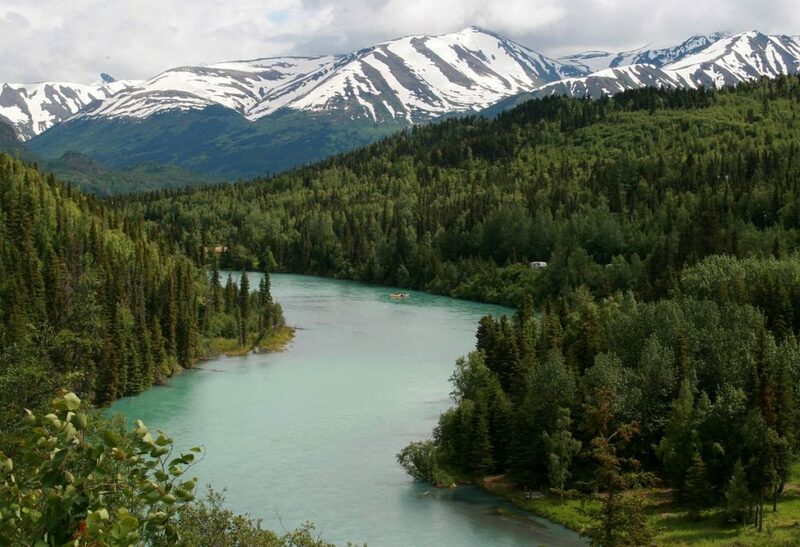 The Kenai river is renouned for salmon it’s diverse salmon habitat and is considered one of the top salmon fisheries in the United States. Chinook, Coho, Sockeye and Pink salmon run hot and heavy on this river but is lack luster in regards to Steelhead. For more information on Kenia river fishing access see our Kenai river fishing access map below. This river generally open to fishing year round. **See Southcentral Alaska fishing REGS for exact times. This fishery generally allows 2 Salmon per year and two Rainbow or Steelhead per year. **See Southcentral Alaska fishing REGS for details. During Peak Season Hand to Hand. Eye protection recommended!